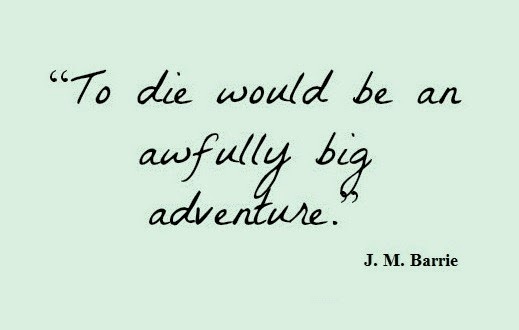 Life Is Worth The Fight: An awfully big adventure? So today was the day I went and saw a counsellor. I think it went well. My entire life I've managed to avoid having to "talk to someone" or a professional anyway. I think it was good for me in a way because although I am generally completely honest with you guys and with the people I talk to in day to day life I maybe don't go into as much detail as I am actually thinking. I think I do it because I don't think people want to be lumbered with my problems or I'm worried that they're going to think I'm stupid or over-reacting or seeking attention. My anxiety is brought on by my fear of dying in my sleep. That mustn't be confused with a fear of dying I'm not afraid of death, we must all die at some point it is just a question of when and how, it is the human condition. We may all be different and unique but the fact that we are born and we die is thing we all have in common, it's unavoidable. My fear is the unknown. I fear not knowing what happens when we die, do we cease to exist? Is it a constant state of sleep? Reincarnation? Heaven? Then there's the fear I have of being in pain when it happens. I have been through a lot I have a high pain threshold, I know what pain is and for that very reason I do not want to be in pain when I die. I think that's a healthy fear and one probably a lot of us have. Finally the other fear I have is the fear of being alone, being alone when I die and afterwards, whatever happens afterwards. I've never been close to anyone who has died. I have grandparents who are dead and know people who have died but no-one that I'm really close to and that I would be like "oh yeah they're waiting for me on the other side". I have a lot of cats that have died maybe I'll be the crazy cat lady on the other side? I'm just very afraid of being alone wherever death takes us. I have never done anything alone. I was born with someone else, Meg and I came into the world together, Meg and I had Candice and we all grew up together Megan and I went through school together and even though we were always in separate classes we were never alone we always knew that we had each other if we fell out with our friends. If one of us was running late for the school bus we knew that we had each other to hold it if it was about leave. I've always had people along side me when I've had my hospital appointments. When I was somewhat out of it last year when my infection was slowly killing me I knew my family was there making sure that things were being done right and I was okay. I know I won't ever be alone but dying is journey I have to do by myself, no-one else can come with me to make sure I'm okay, and I obviously wouldn't want them to because that would mean they would be dead to but it scares me so much. I know it's probably stupid of me to be as scared as I am but I feel like it's very real for me. Not that it's not real for everybody else but for people my age that day is meant to be 60-80 years away so it's easy not to think about it I would assume it seems like something that may never happen if you're very healthy at least. - If it happens there's nothing I can do to stop it. - I have family and friends who are here for me and although I fear being alone I am never alone. 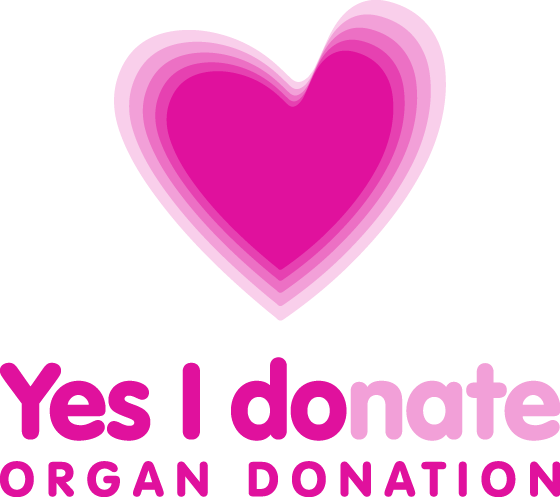 - My transplant should happen and hopefully I won't have to think about it for many more years to come. Stacie I think that it is good that you are addressing these issues I have recently had to talk with someone about the same issues. 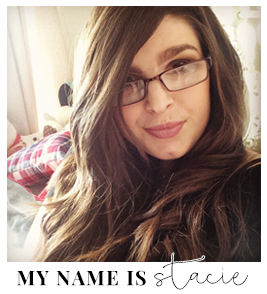 Having had a diagnosis of chronic rejection had shocked me and sent me on a similar journey. I have fears about what people will remember when I have gone and the counselor was able to allow me to sort out my feelings about this. I agree with your conclusion there is nothing you can do about death and having a transplant will mean that this will be a subject you will have to look into and be comfortable with. But it is the life you lead that matters and the experiences you have on your own and with others that is important however ill or well you are.We are all on the journey of life alone, but walking along with others and having a laugh and some fun makes the journey tolerable. My heart is breaking reading this post Stacie. I'm not really sure what to say as I'm not sure it will ever be eloquent enough but I hope that your transplant comes soon.